Last month saw the annual three-day Alumni Relations Institute in Leicester, hosting delegates from over 35 education institutions from across the UK and Europe. Hot topics across the conference covered a broad range from strategy, international alumni relations, mentoring, volunteer management and how to measure meaningful results and metrics. As always, the conference was backed by a passionate faculty, coming from a range of notable Universities and organisations, bringing inspiring expertise and energy. 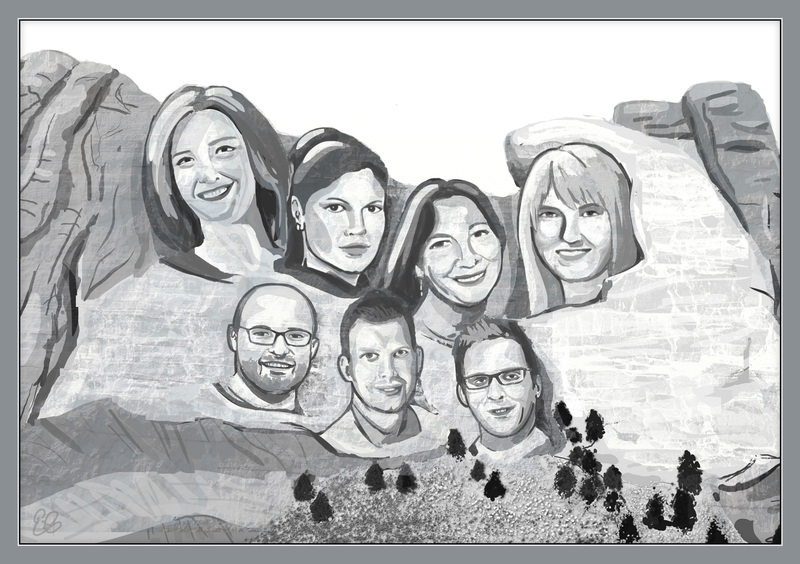 Aluminati have marked the successful event and occasion by immortalising this esteemed faculty in a special edition painting – behold Mount Casemore! Aluminati regularly support the ARI and other CASE events as educational partners and sponsors, in order to offer and further grow our insight into the sector, which enables us to continually bring our customers better online engagement applications and solutions. To find out more about how Aluminati can help you engage with your alumni more effectively, request a demo or arrange a chat.